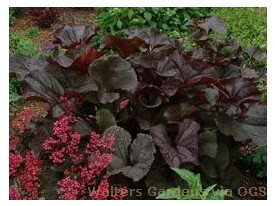 Product Information : Foliage forms a mound of large, deep maroon leaves. Midsummer flowers resemble orange daisies. Mature Size : 48" x 36"